Our Lady of Mercy Praesidium has just formed here at St. Joseph Parish and is looking for both active and auxiliary members. If you feel prompted by Mary or have been looking for a way to answer the call to the “new evangelization”, please call Cecelia at 330-208-0480. 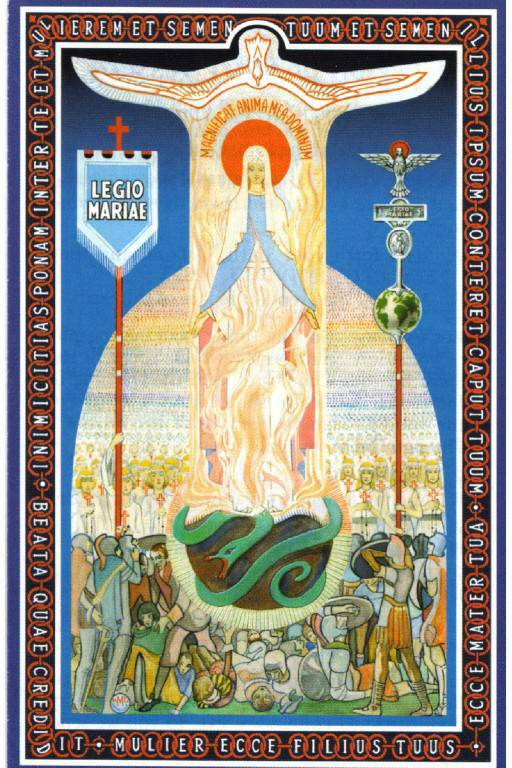 Our Lady of Mercy Praesidium is part of The Legion of Mary, a lay apostolic association of Catholics who, with the sanction of the Church, obedience to the pastor, and under the powerful leadership of Mary Immaculate, serve the Church and their neighbor on a voluntary basis in about 170 countries. The primary concern is the sanctification of its members through prayer and apostolic works. The main works of the legion are the “spiritual works of mercy” which include door-to-door evangelization, parish census, visiting newly registered parishioners, visiting those new to the sacraments (Baptism, Matrimony, etc), Enthronements to the Sacred Heart of Jesus, visiting the sick and consoling the grieving. Evangelization, especially the seeking of conversions to the Church, is a propriety for the Legion. Through the visitation of homes and by other means, the Legion must, as a first principle, set out to establish a contact of some sort with every soul everywhere. There are 2 levels of membership: Active (those who do the visitations) and Auxiliary (those who pray at home). Our Lady of Mercy Praesidium is looking for both active and auxiliary members.